In South Africa, the push toward engaged photography unites photographers of different generations, from David Goldblatt through Roger Ballen and Guy Tillim to Zanele Muholi and Pieter Hugo and, more recently, Mikhael Subotzky. Hugo’s photographic practice has its origins in the tradition of photojournalism with a humanistic focus; he was directly influenced by the work of Tillim and Goldblatt just as he in turn has influenced his onetime assistant Subotzky. 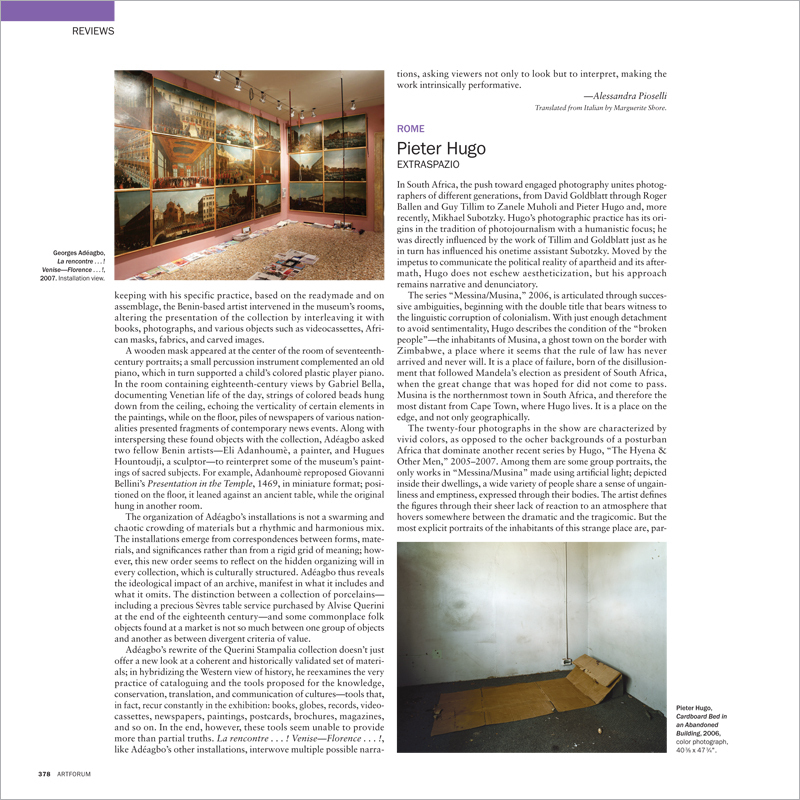 Moved by the impetus to communicate the political reality of apartheid and its aftermath, Hugo does not eschew aestheticization, but his approach remains narrative and denunciatory.